According to my new, less tolerant understanding of American democracy gained by reading, in this magazine’s words, Walter Kirn’s “definitive Ohio hit piece,” the future of our country depends on the whims of a Midwestern electorate worthy of coastal scorn because they find national politicking a bit off-putting and rent their golf clubs. 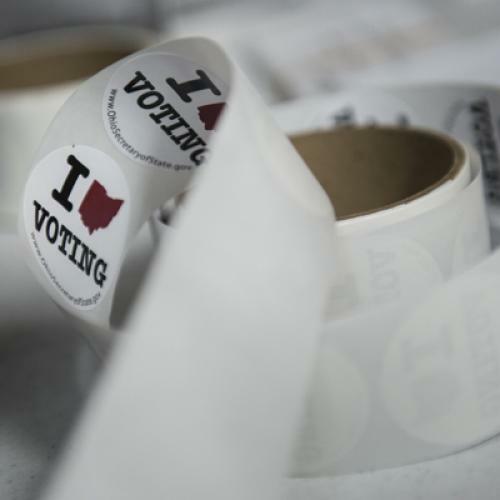 Why was this ad hominem attack directed at Ohio voters? One view, espoused by readers, is that it was a poorly executed satire on the absurdity of the Electoral College that fell flat. Another group likened it to a less-researched, election-year version of Jonathan Chait’s memorable rant about Delaware and its toll booths. Still others took it at face value and a subset of those even found it amusing. Any of these explanations disturb me. I would argue that Kirn’s account of our “republic in a can” was smug, snide and whatever its intent, didn’t hit its mark. The mere fact that it was published smacks of the national media’s self-aggrandizing tendency to gloss over flyover country’s inconvenient habit of failing to fall neatly into categories that square with the pre-conceived notions of the coastal elite. Setting aside that Kirn illustrates Ohio being the “very cradle of American mediocrity” by detailing the impressive talent that grew up within its borders, I would like to respond to his near-meritless and misrepresented examples point by point--and suggest performing a quick Google in the future. Kirn says Ohio’s soullessness is why the state turns out “such good rock-and-roll bands.” His prototype is the Pretenders’ Chrissie Hynde, whose “bitter ‘My City was Gone’ may as well be Ohio’s official anthem.” Kirn leaves out that Hynde returned to her native Akron in 2007 – years after achieving fame – to open a vegan restaurant that she described as a labor of love. The restaurant closed last year, not because of Hynde’s desire to flee elsewhere but a flagging economy. Oh, and Kirn? You also spelled her name wrong. Kirn says the Black Keys’ “thumping garage arrangements” convey the “need to feel something, anything, when surrounded by total tedium and depletion.” However in the band’s song "Ohio" the Akron natives say: “no matter where I am, in this land, I feel alone, when I’m not at home.” The same track ends with “get me home before I lose my mind, I need some space to let my tape rewind” before repeating the drawn-out refrain of “Oh-oh-oh-oh-Ohio-hio” one last time. Kirn says that most of Ohio’s great writers “blow town on the first train” and through their writing “offer further tribute to the state’s nullity.” While it’s true that many of Ohio’s young wordsmiths, myself included, have left for rosier career prospects in places like New York, Paris or California – a well-worn path traveled by like-minded artistic denizens of small towns from coast to coast – Kirn’s argument might come as news to the many others who remained in the Buckeye State, returned there or portrayed their home state fondly in their work. Nobel and Pulitzer Prize-winning author Toni Morrison, for example, is a native of Lorain who returned to Ohio for a residency at Oberlin College this year just months after receiving the Presidential Medal of Freedom. Erma Bombeck wrote hundreds of her humor columns when she was a homemaker in Dayton. Though she left for Phoenix later in life, Bombeck also became a lifetime trustee at her alma mater the University of Dayton and chose to be interred in her hometown upon her death. Comic book creator Harvey Pekar never left, using his native Cleveland as inspiration throughout his life. Kirn’s argument disintegrates further when he uses John Glenn and Neil Armstrong to illustrate how the country’s space program has benefited from the fact that “Ohioans of vision and vitality will do almost anything to leave.” Glenn “got as far from Ohio as he could” and Armstrong “with better technology, got further,” Kirn states. Notably absent was any mention that Glenn, after leaving the military and retiring from the space program, represented Ohio as a U.S. Senator for more than two decades. He also founded a public service institute at the Ohio State University, where he is an adjunct professor of political science. Armstrong likewise returned to Ohio to teach in the aerospace department at the University of Cincinnati. At the time of his death in August, he was living in the Cincinnati suburb of Indian Hill. He bets that “it’s a burden they could do without” given that it “takes time away from hosing out their truck beds” and they can only be bothered to do so once the leaves are raked and they’ve dropped their aunt off at bingo night before heading to the polls. Anyone who has spent more than five minutes in Ohio during an election year knows that the television ads are anything but scattered. Outside interest groups dump millions of dollars into the state’s races that aren’t easily traced. Yet the Ohioans I know (mostly aunts, uncles, cousins, old friends, coworkers, neighbors and parents) know just as much about what’s on their ballot as the New Yorkers (mostly lawyer, banker and filmmaker friends), the Californians (mostly media and entertainment pals) and those in the District (mostly journalist, lawyer and Hill types). One aspect of Kirn’s essay that does prove comforting is that I know no one in Ohio has time to or cares to read it. As I sit here crafting my response, the hundreds of Ohioans in my Facebook feed are reminding their friends – with surprisingly little partisanship – to show up, vote and thank their poll workers. There are photos of small children helping mom or dad cast a ballot. Many others already waited in hours-long lines during the state’s early-voting period. Impressive time management, given all the leaf raking and dog worming they had to complete before heading out to the polls. The one thing the Ohioans I know did feel indifferent about was Kirn’s all-too-familiar condescension. They didn’t ask to be the focus of the Obama and Romney campaigns or the idée fixe of the national media. Yet they were largely quiet – in fact, you might say “numbly, quietly resigned” – when asked to respond to Kirn’s haughty disdain. “I’d comment more but I’ve got to get all those bass out of the truck, get all the golf clubs back to the Rent-A-Center and pick up my Aunt Linda for yoga, I mean bingo,” my cousin said. “Does it even merit a response?” a friend asked. They know that having to get to know their state in a nuanced way undercuts the punditry class’ importance and takes far more time than coming up with a glib and dismissive outsider take. It’s how an Ohioan expects a national magazine correspondent to be. It’s just who they are. Amanda Becker is a Cincinnati native and journalist currently based in Washington, D.C.